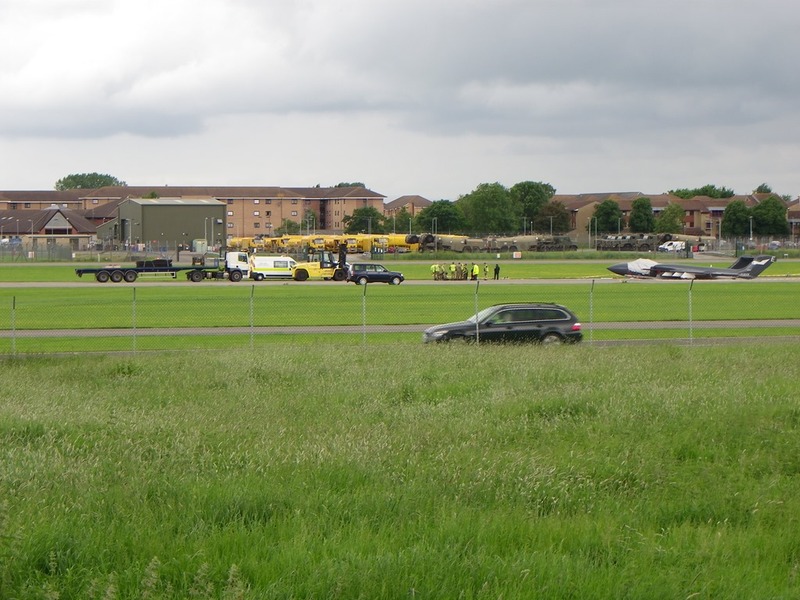 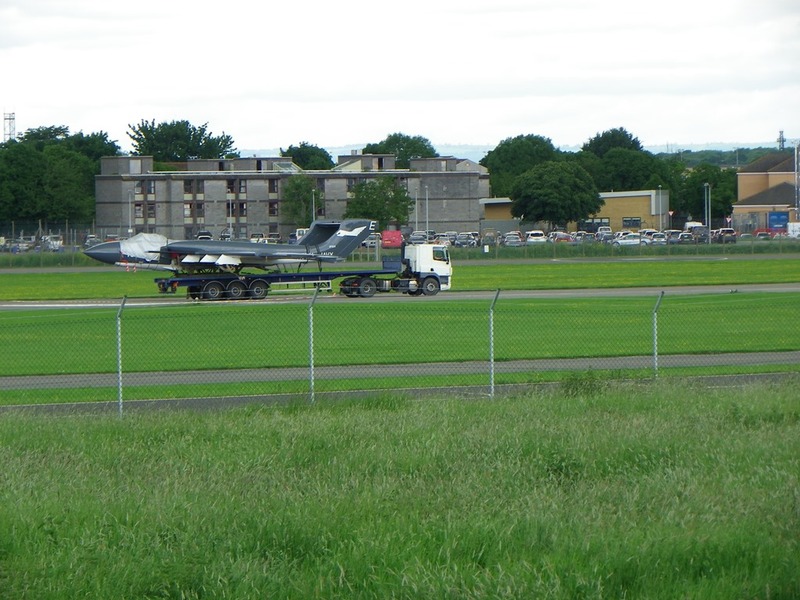 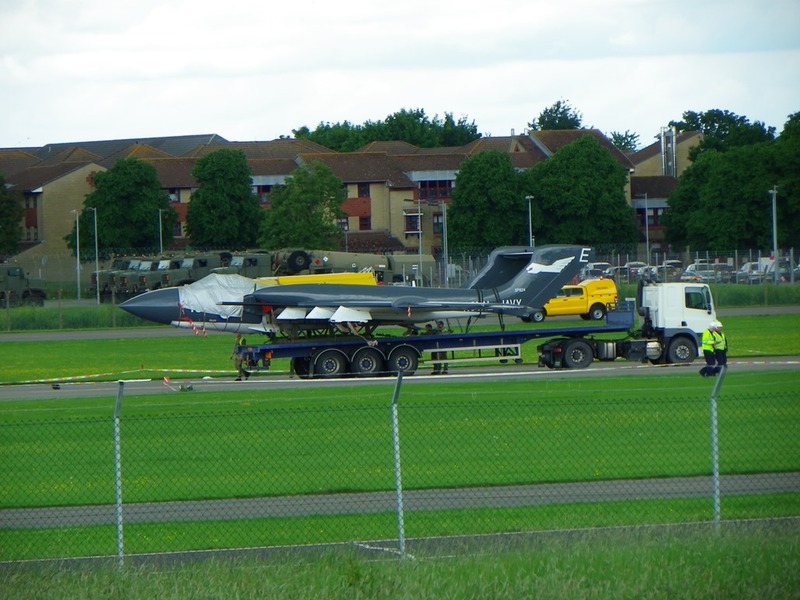 One does occasionally see interesting events living next to the Royal Naval Air Station at Yeovilton (RNAS Yeovilton). 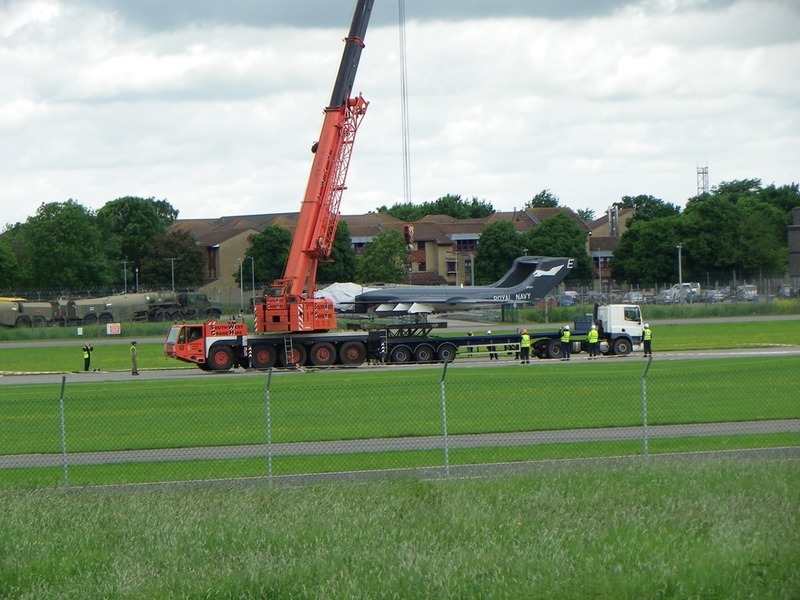 One such recent occasion was when the hydraulic landing gear system o the only flying Sea-Vixen apparently failed when it was returning to the base. 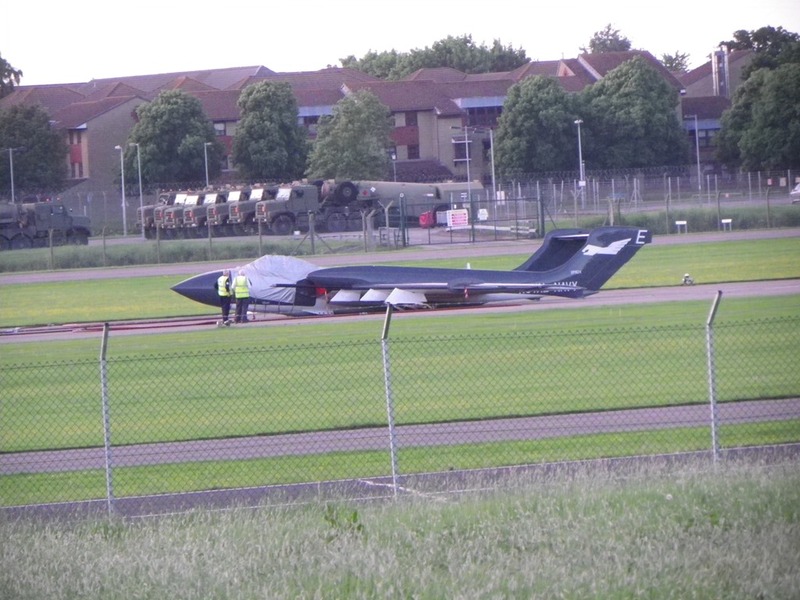 As the video shows, the pilot, Cdr Simon Hardgreaves performed a perfect wheels-up landing. 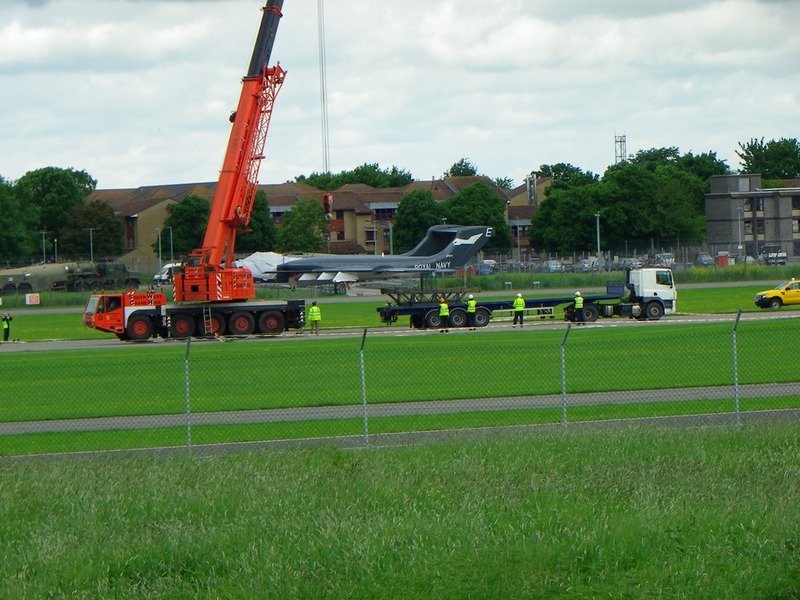 The Sea-Vixen which is based at RNAS Yeovilton as part of their historic flight was due to perform at Yeovilton’s renowned forthcoming International Air Day. 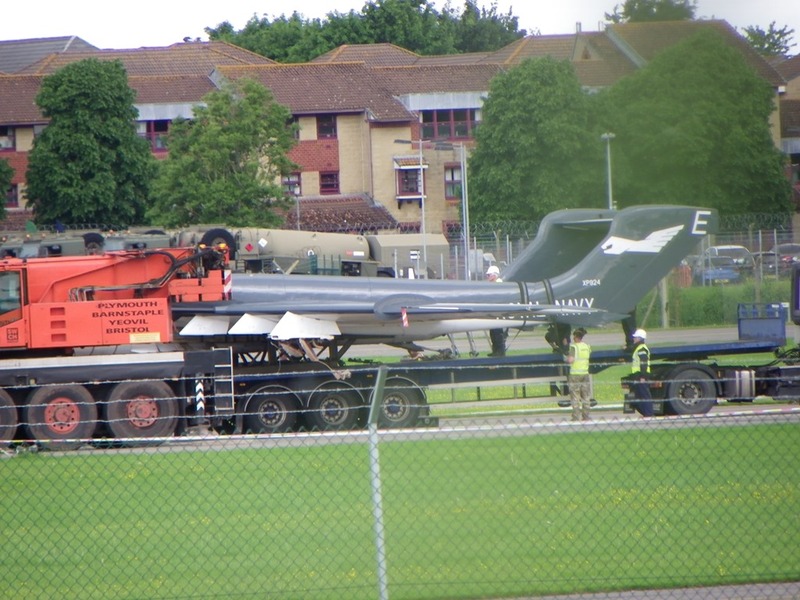 But the question on everyone’s lips at the moment is how badly was the aircraft damaged and will it ever fly again? 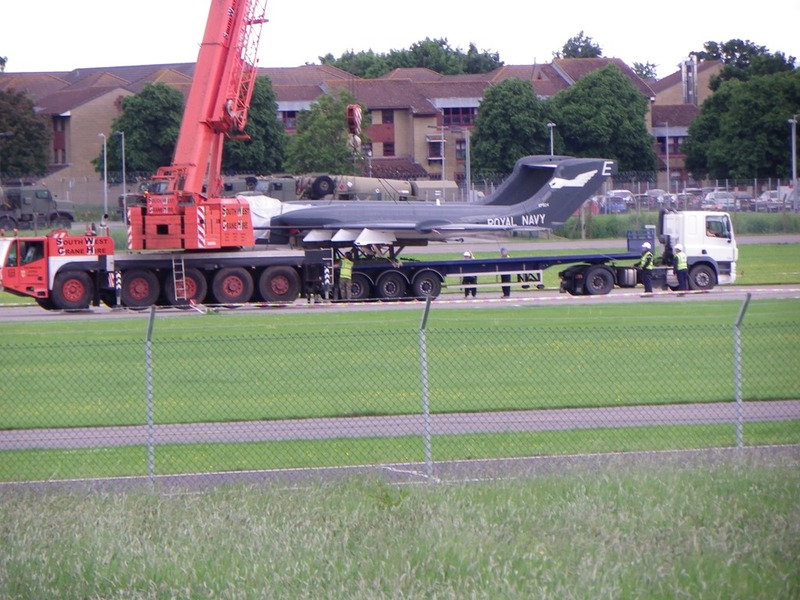 I do hope so as this was such a iconic aircraft that once represented a significant partof the UK’s military air power. 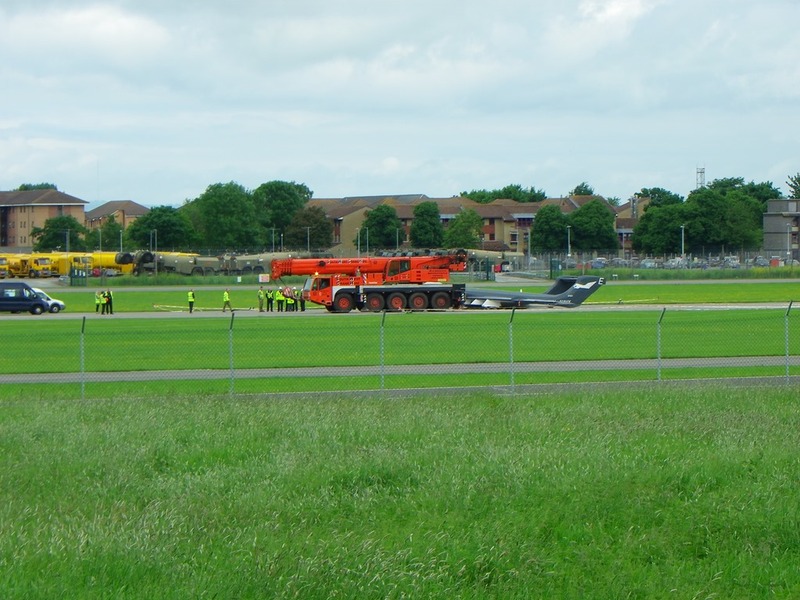 The aircraft remained on the runway where it landed directly opposite my home until recovery teams were in a position to move it. 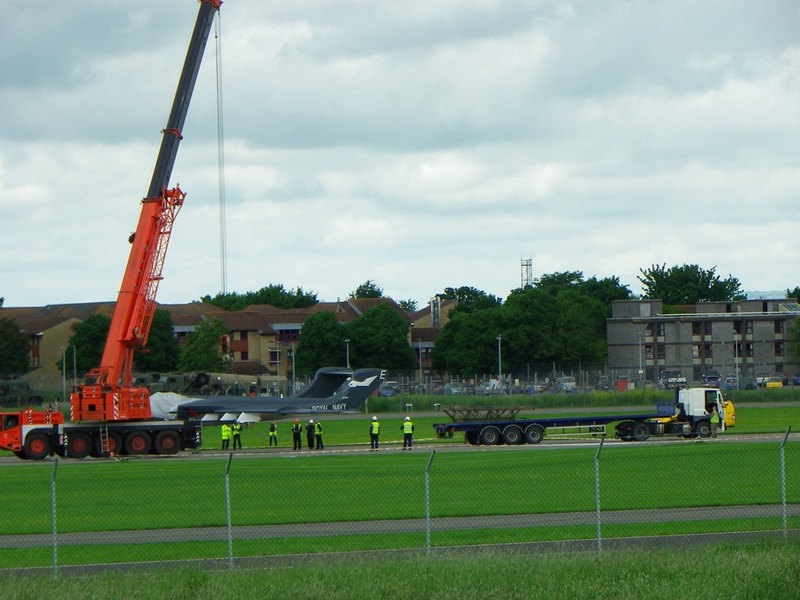 That did give me the opportunity to taken a number of pictures of the recovery exercise.